Mount McKinley, a Nibble Top Pick, is a shepherd’s-style aged goat cheese unfamiliar to most people: sharp, earthy and nutty. Photo by B.A. Van Sise. The next time you’re deciding on what cheeses to serve, select the entire group from either goat’s or sheep’s milk. From fresh chèvre to blue to Parmesan- and Cheddar-like goat cheeses, for example, you and your guests will experience goat (or sheep) cheeses in a new light. People who may only be familiar with fresh chèvre logs and aged pyramids will be surprised and delighted by what the milk produces in other styles of cheese. Include quark, a yogurt-like cheese, for a complete picture. As an added bonus for those who have lactose problems, goat’s and sheep’s milk cheeses are easier to digest than cow’s milk cheeses. 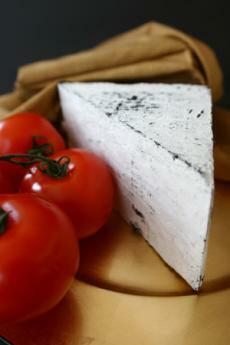 You can learn more about fine cheese in the Gourmet Cheese section of THE NIBBLE online magazine.